Tapioca chips (cassava) are an important raw material in the processing industry of food and energy. Tapioca is cultivated in almost all provinces and cities, but concentrated in Central andSoutheast Vietnam as Tay Ninh, Binh Duong, Binh Phuoc, Dong Nai, Gia Lai, Dak Lak, Binh Dinh, Quang Ngai, ... with high starch content. 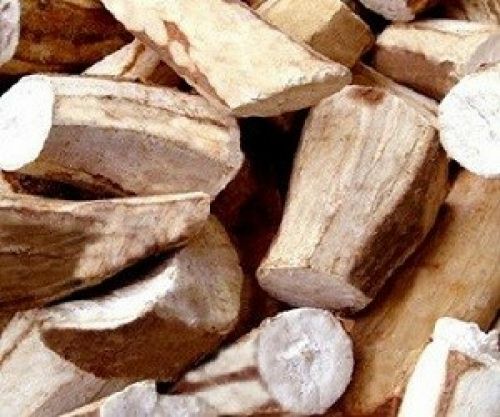 Tapioca Chips are made from cassava that has been chopped into small pieces and sun-dried for 2-3 days.As a rule of thumb, 2-2.5 kg of fresh cassava (with 25% starch content) is required to produce 1 kg of chip. Tapioca chips (cassava) used as feed for cattle, making ethanol as biofuel, making starch. Besides Tapioca chips have still many uses in industrial processing and food. + Packing: In PP woven bag about net each 50kg (+/-5%).